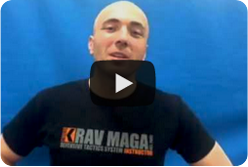 Krav Maga Touring and Training in Israel: The Institute Experience, Day 2 by Patrick Hards. Hi everyone, firstly a little about me. At the age of 16 I joined the British Army, and after 11 years and having served around the world, I left service last Feburary. Now as some of you are probably well aware, after a huge change you can sometimes feel a little lost in life and feel like you have lost part of your identity. Well this was me!! I realised I needed a new focus and a new set of goals to acheive, so at the end of January 2013, after a little research I joined the institute of Krav Maga and began to train in Essex. After three and a half months and passing my P1 in April, I now find myself in Israel taking on my next challenge, the Krav Maga Touring and Training Event! Day two of touring and training saw us 33 participants build on the basic techniques from yesterday. Starting with defending various knife threats and attacks on the beach. The German contingent and Institute member Nithin Bopana were sporting some very snazy speedo’s!! One of the highlights of the day was the resistance training in the sea. Witnessing the sheer power that Eyal can transfer from a strike, even in water, was inspiring. After lunch we travelled to the Wingate Institute, where we all got the opportunity to try more advanced skills, defending against gun threats to you or a third party from various angles. As a relative newbie to Krav maga, it is an amazing opportunity to be here training with Eyal Yanilov and the KMG team. I would definitely recommend the training and touring to everyone. Day 2 is now over and we are heading to Jerusalem… more from one of the other Institute guys tomorrow. Cheers, Pat.